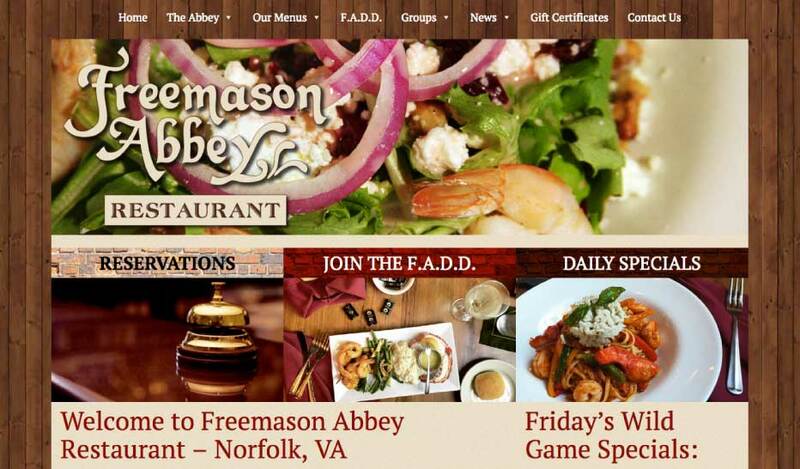 Located in the heart of historic downtown Norfolk, VA, Freemason Abbey Restaurant has been a local’s favorite for 25 years. Enjoy unique fine dining in Freemason’s 139 year-old renovated church, an atmosphere that is elegant yet casual. The menu features fresh seafood, lobster, steaks, pasta dishes, and award winning She Crab Soup, and more. Freemason Abbey offers reasonable prices, appealing to those celebrating special occasions as well as those who enjoy dining out often. The Abbey is one of only a few downtown Norfolk restaurants with free parking.